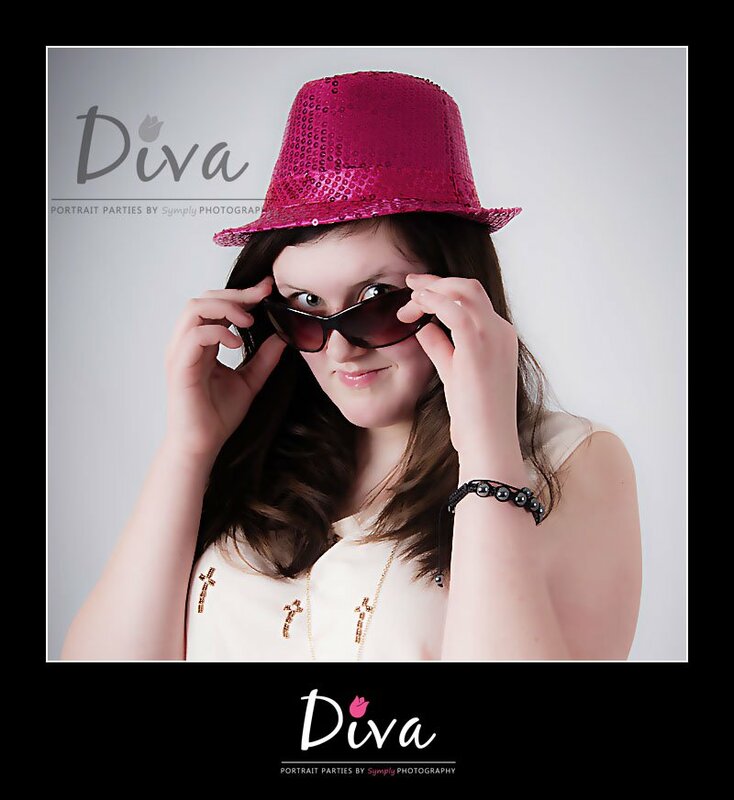 Looking for a birthday party idea for your teenager – you will be the coolest mum in town if you book her a Diva Portrait Party! Sally booked a Party for her daughter Emma who became a teenager this week. We were thrilled with this booking as Emma has already been to a Diva party as a guest so knew what to expect. The fact that she wanted to have her own Diva party for her 13th was a huge compliment! Emma had invited Kaiesha whose party she had already been a guest at, and some new Diva’s – Jasmine, Skye, Hannah and Vicky. They were very excited and some a little anxious as they didn’t feel they looked very good in photos. The party bar had been set up with the special addition of some exotic “mocktails” – (non alcoholic) – and a rather delicious banana smoothie as well as the usual array of party food, flashing disco lights and loud chart music. Here are a few of the many photos that were taken at this party – if you think your daughter would enjoy a Diva Portrait Party do get in touch – and read the feedback we get from our guests!